Velika Kladuša, a Bosnian village on the border with Croatia represents today the last step for thousand of refugees to cross into Europa. After the clousure of the so called "Balkan Route" between 2016-17, due to Eu-Turkish agreement on migrants' issues, a new "Balkan route" has been opening. In last months over 1500 refugees stopped in the city trying to move to nearby Croatia, European Union's country member, wishing to continue their travel to Germany, Austria or Italy. Lately the Croatian police is stopping people in transit, sending them back to Bosnia with the frequent use of strong violence and serious intimidations of those entering in EU territory. The population of Velika Kladusa did not remain helpless when migrants arrived. Groups of locals have organized massive chains of solidarity, have hosted refugees in their homes and offered goods, clothing and aids of all kinds. In the city a solidarity group has also been created, strengthened by a few international volunteers who daily offer migrants a service showers, shoes and clothes and help in the construction of tents in a field provided by the city municipality. In addition, some local restaurants offer free meals to migrants coordinating directly with them and with volunteers. The city is a unique example in Balcans of coexistence and collaboration between the local population and migrants themselves, making it one of the few places of humanity along the long road to a new life for thousands of people. 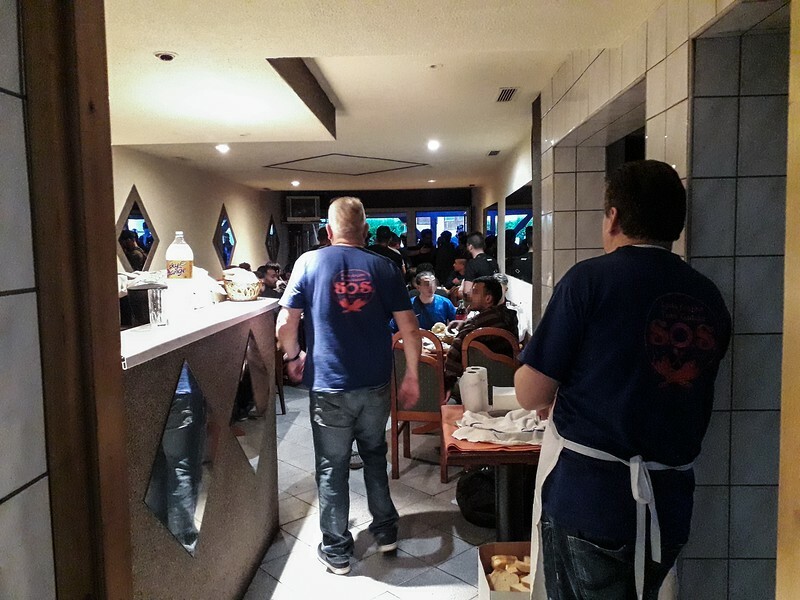 Local volunteers and members of the Velika Kladuša's "SOS team" who work at the Lod Latna restaurant, which provides two meals a day free of charge to the refugees who go there at the scheduled times.